Federal House of Representatives, representing the Nkanu East/Nkanu West Federal Constituency of Enugu State, under the platform of the Peoples Democratic Party (PDP). He attended Federal Government College Enugu, and obtained West African School Certificate in the year 1991. He got admission into the University of Nigeria, Nsukka, where he studied Engineering and graduated in the year 1997. He then proceeded to the kings College London for Masters in Enterprise Information System, which he obtained in the year 2001. From there, he proceeded to the University of Kent, Canterbury, where he obtained a Doctorate Degree in bio-metrics and security in the year 2008. Chukwuemeka Ujam have worked for almost 20 years as a bio-metrics and security expert, a lead consultant as an information technology expert and a consummate administrator and a trail blazer. Dr. Ujam has a career background in telecommunications technology which includes holding many senior engineering positions in several major United Kingdom telecoms and security organizations as well as board level responsibility in Information Technology start up organizations. He is an expert in the area of biometric systems, biometric algorithms and the synthesis of a person’s distinct physiological and behavioral characteristics. Additionally, his expertise covers the security design, deployment and management of Information Technology networks. Ujam have held several strategic positions, including Security Technical Architect at Metropolitan Police Service, Head of Technical Solution at Serco Trusted Borders (eBorders), Lead Technical Design Authority and Technical Architect with Atos Origin UK and Senior Technical Designer (including Design, Security, Strategy and Data) at BT Global Services. He constantly sets policy and direction that are within the industry and has managed projects and teams in mission-critical infrastructures. In the year 2011, Dr Chukwuemeka Ujam was appointed the Commissioner for Lands and Urban Development in Enugu State during the regime of Governor Sullivan Chime. He worked across the public and private sector lines to develop, craft and reform the administration of Land in order to serve the people and businesses in Enugu State very effectively. He reduced the administrative complexities that were hitherto experienced in the Ministry of Lands & Urban Development of Enugu State, by embracing and instituting the use of information technology in land administration. In the year 2015, Ujam was elected into the Federal House of Representatives, where he represents the Nkanu East/Nkanu West Federal Constituency of Enugu State, under the platform of the Peoples Democratic Party (PDP). 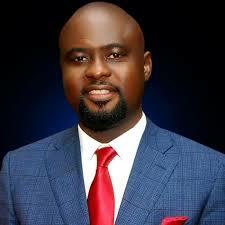 He is the deputy chairman, House Committee on Telecommunication. His legislative interests border on communications and he targets youth empowerment, purposeful and effective representation.